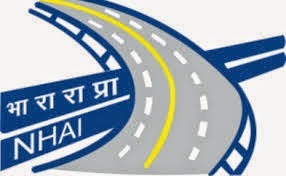 About Organization: The National Highways Authority of India was constituted by an act of Parliament, the National Highways Authority of India Act,1988. It is responsible for the development, maintenance and management of National Highways entrusted to it and for matters connected or incidental thereto. The Authority was operationalised in Feb, 1995. How to Apply: : Eligible Candidates may send their application along with bio-data only by post or by hand to the National Highways Authority of India, Office of the Chief General Manager (Tech), Regional Office, B-402, Road No 4-c, Ashok Nagar, Ranchi- 834002 on or before 15-04-2014.